Korean cuisine is readily available in many parts of the world, from street snacks to Korean Barbeque. But what about the real deal? 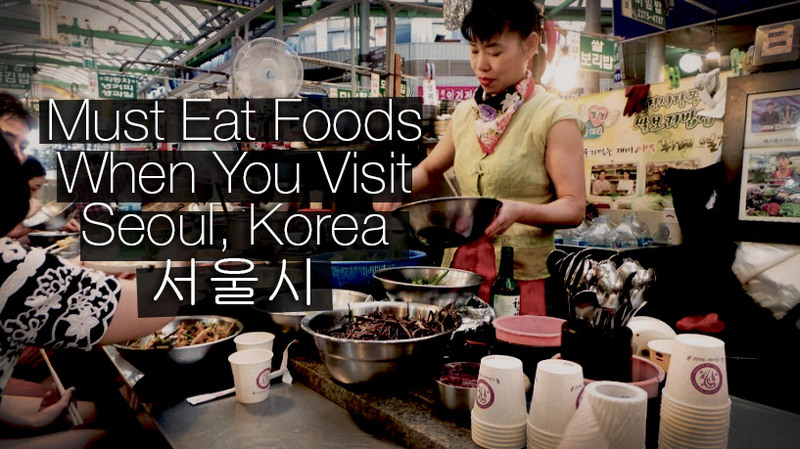 When you travel to Seoul, the capital of South Korea, what should you eat? Below is a short list of essential things you should nom on when in Seoul, Korea. If you only have a week to feast while on a holiday, feast on these. Ddeokbokki is a popular Korean street snack made from soft rice cake, fish cake and sweet red chili sauce. It is commonly found at street snack stalls, eateries and restaurants – and they taste rather similar in terms of the rice cake. What is special about the ddeokbokki at Express Bus Terminal station is that unlike the usual thick chilli paste it is cooked in, their ddeokbokki is served in a more liquid flowy sauce – like a soup broth. 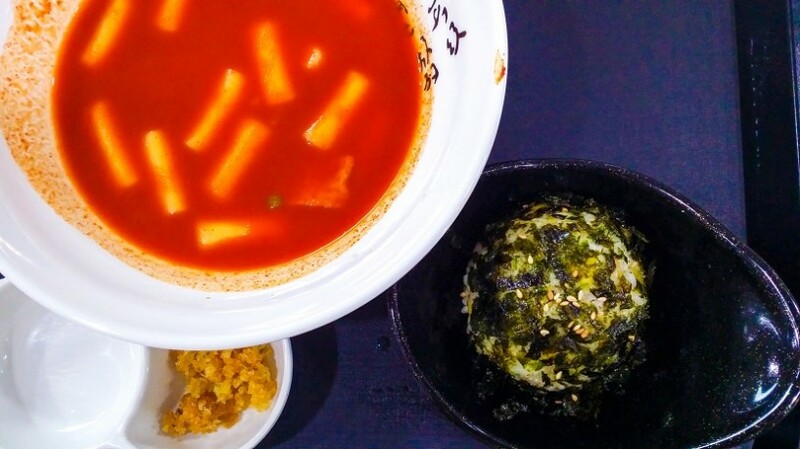 The rice cakes are also chewy and delicious while you slurp on the spicy broth. Do stop by after you are done shopping at Express Bus Terminal station. 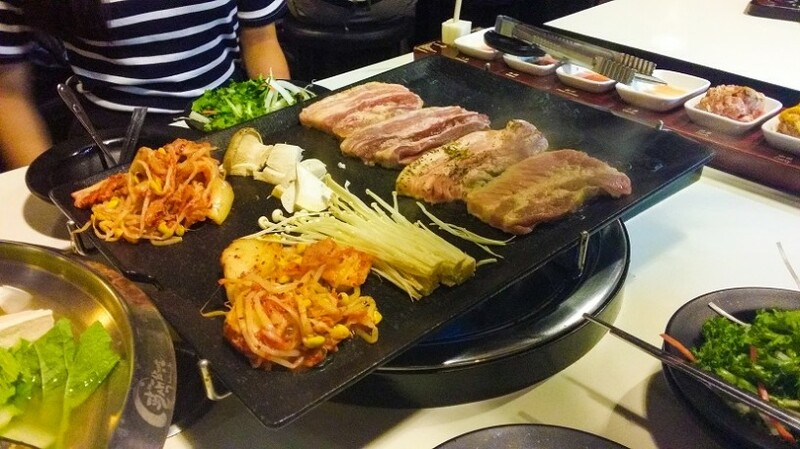 Samgyupsal consist of thick slices of seasoned or unseasoned pork belly meat, grilled over a hot plate or metal grill. The various seasoning gives you that extra variety. The walls leading down to the basement of Palsaek Samgyeopsal, one of the most popular places for samgyupsal, is literally covered in pictures of celebrities as well as snapshots from broadcast programs. This restaurant serves 8 different seasoned pork belly, of plain, wine, pine leaf, curry, red-pepper paste, herb, soybean paste, ginseng flavours respectively. I found the wine and curry seasoned pork belly to be my favourite. They also serve complimentary seafood hotpot as well. The restaurant is tourist friendly, with servers whom can speak multiple languages. The Palsaek Samgyeopsal set costs 34,000 won, and serves 2 to 3 persons. There are 2 branches in Seoul, one in Sinchon and another in Hyehwa vicinity. 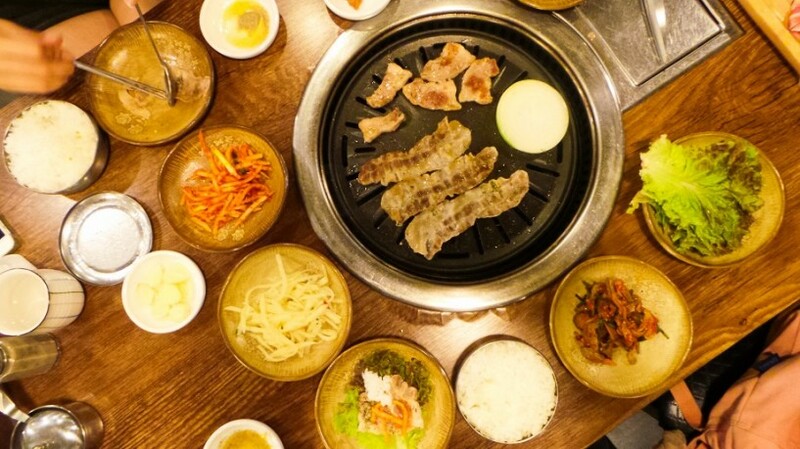 An extension of samgyupsal, is the full fledged Korean BBQ. Grab a few friends, order cheap soju, throw some pork (samgyupsal) or beef (sogogi) on the grill in the centre of the table and start feasting. The meat is typically eaten with a vegetable wrap (lettuce or perilla leaves), with a dollop of ssamjang paste (fermented bean paste mixed with chilli pepper paste). Common accompaniments into the wrap include raw garlic, onion and/or marinated beansprouts. Dakgalbi is a Korean dish originated from Chuncheon, Gangwon province. It is a gochujang (chilli pepper paste) marinated diced chicken, stir-fried together with sliced cabbage, sweet potato, scallions, onions, perilla leaves, and ddeok (rice cake) together on a hot plate. 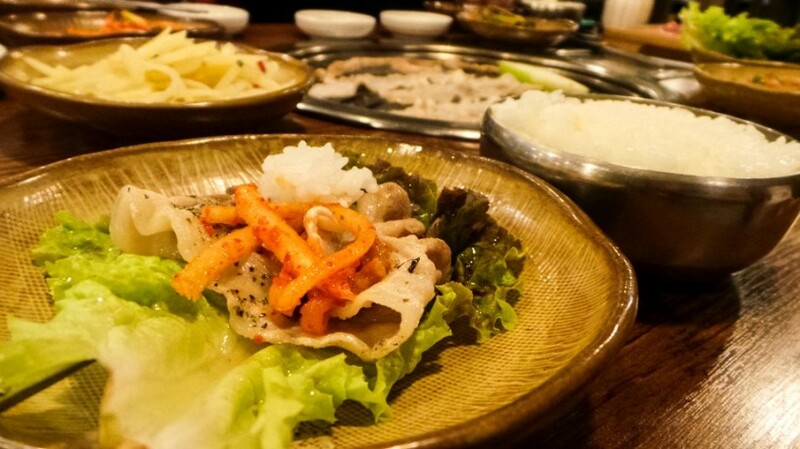 A popular place to have dakgalbi will be at Yoogane. They have a few branches in Seoul: Myeongdong, Korea University and Hyehwa vicinity. The pricing here is at least three times cheaper than the Yoogane franchise in Singapore. I’m eating 5 tummy’s worth of dakgalbi before I return to Singapore. Marinated chicken galbi fried rice starts from 5,500 won per person. I would recommend you to add ramyeon noodles and cheese ddeokbokki. The stir-fried ramyeon noodles tastes like Korean style mee goreng. Even though it is a hot dish, Samgyetang is still considered a popular food for summer. Koreans have a saying called ‘yi yeol chi yeol’ (이열치열) which loosely translates as ‘to fight the heat, you must fight it with more heat as well’. By eating this extremely nutritious dish, it is said to replenish the lost internal heat in the body, giving an energy boost. Samgyetang is made from a whole young chicken stuffed with glutinous rice and boiled in a broth of Korean ginseng, dried seeded jujube fruits, garlic, ginger and various herbs and condiments. The broth is satisfyingly rich with the slight bitterness of ginseng and medicinal herbs. Tosokchon restaurant serves pretty decent haemul pajeon (onion pancake) as well in addition to the chicken soup. It gets really crowded during peak hours at Tosokchon so do plan to travel down early. A normal samgyetang portion costs 15,000 won per person. The best stall for soft serve ice cream is probably Softree. There are many stores selling soft-serve ice cream, especially in areas with a younger crowd like Hongdae and Sinchon, but softree remains one of the most popular picks among locals. My favorite flavour is definitely the honeycomb milk ice cream (they also call it honey chip ice cream). There are many knockoffs as well, like Sweetruck and Milkybee which I’ve tried too – they are pretty decent. However, Softree’s soft serve just seems to be smoother and lusciously creamier than others. 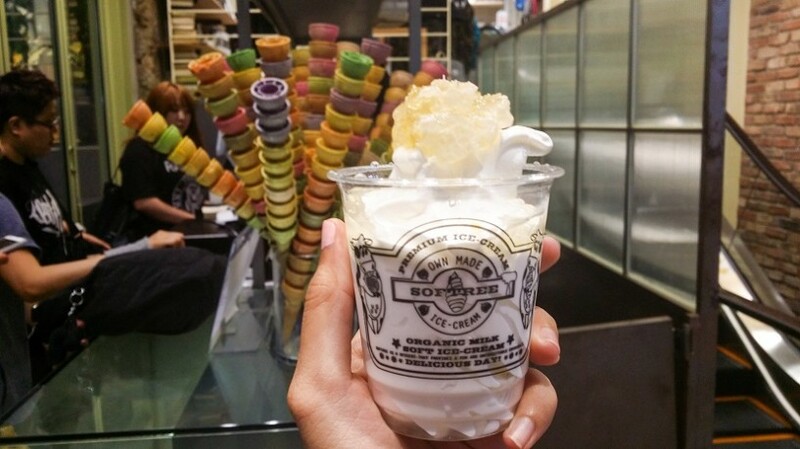 Honey chip ice cream costs 4,500 won. 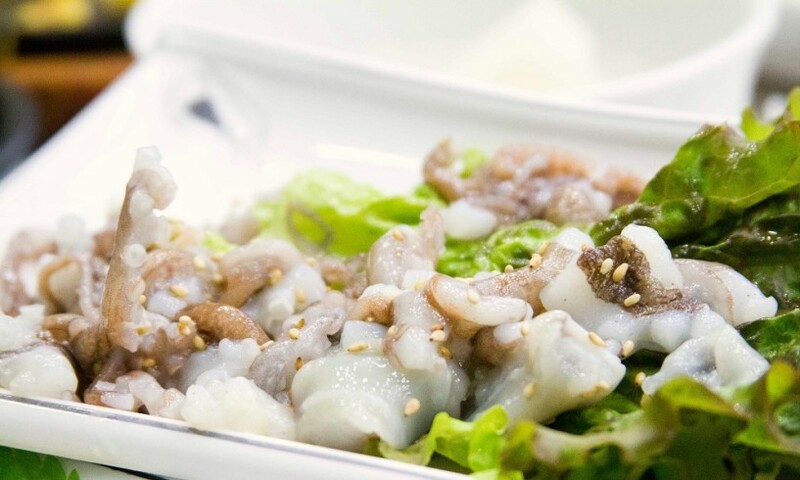 Andong Jjimdak, is a dish known to have originated from Andong, a province in South Korea. 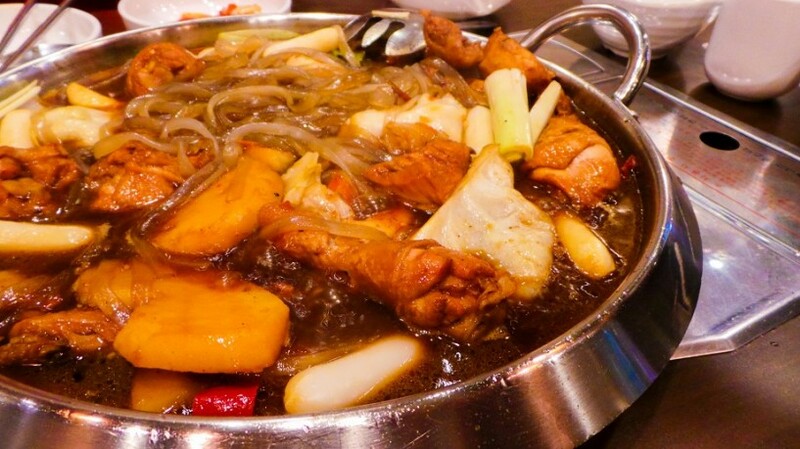 It is made with chicken, carrot, potatoes, onions, vegetables marinated with Korean soy sauce and served with glass noodles and rice cakes. This strangely reminds me of the chicken stew my mother cooks. It is rather spicy though, but within the tolerable range. Prices range from 10,000 to 18,000 won depending on the number of diners. 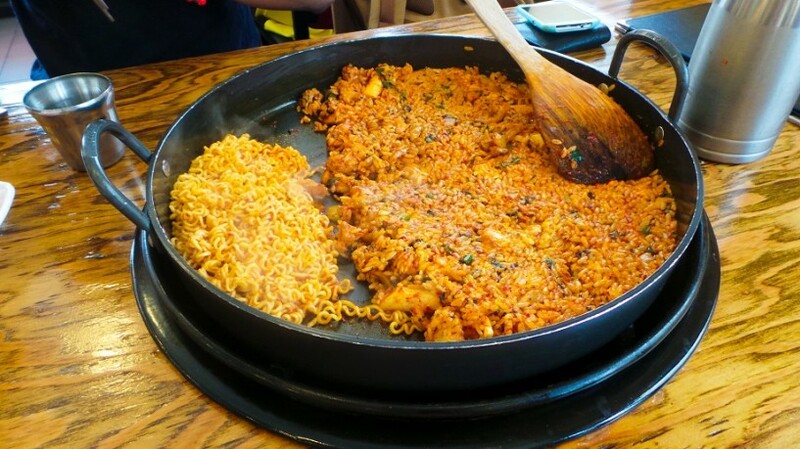 Another famous jjimdak restaurant you should visit is Yeolbong Jjimdak. The restaurant is owned by Se7en, a Korean singer from YG Entertainment. If you’re a fan of YG Entertainment artistes (Big Bang, 2NE1), you can find a lot of their pictures taken here when they visit this branch. Be mentally prepared for some tongue-burning peppery spice. It’s impressive that locals think of that as the normal spice level for their jjimdak. Patbingsu is a Korean shaved ice dessert with sweet toppings such as chopped fruit, condensed milk, fruit syrup, and red bean paste. It is easily available in cafes, fast food joints and even in bubble tea stores in Seoul. Homilpat, located near Ehwa Woman’s University is popular amongst locals and tourists. Their shaved ice made from frozen milk is delicately fine and delicious, it makes Singapore’s Ice Kachang look bad. The Tteok 떡 (the white rice cake) topping is so sweet and chewy, 2 cubes is hardly enough. Prices ranges from 5,000 won to 8,000 won. 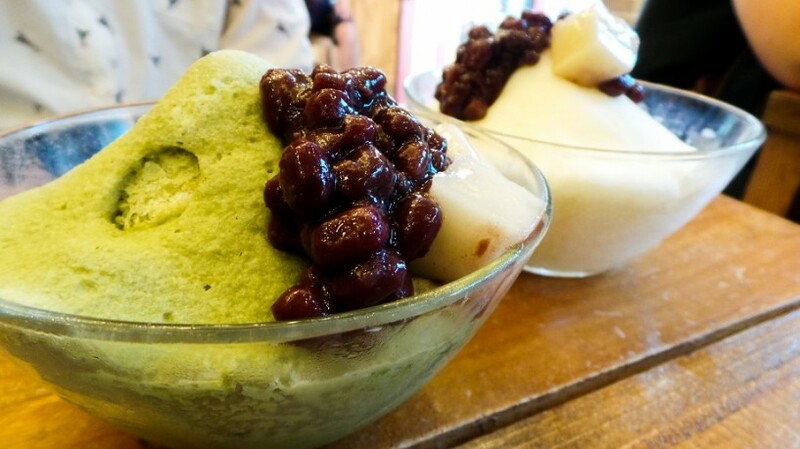 If you are not a fan of milk, you could try Nokcha Bingsu 녹차 팥빙수 (Green tea shaved ice) instead which is equally delightful, if not even tastier. 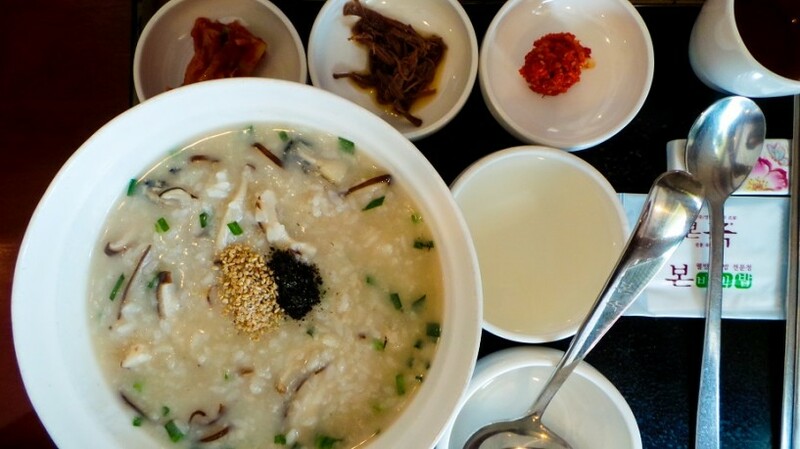 Not all men’s taste buds are created equal, so Korean traditional porridge happens to be one of the rare non-spicy Korean foods you could try. A good place would be Bonjuk which has many franchises all over Seoul. They have a range of porridge from traditional sweet ones like patjuk 팥죽 (red bean) or pumpkin porridge, to savoury seafood and meat-based porridge. Try the oyster mushroom porridge which was a savoury choice, and boy I didn’t look back. 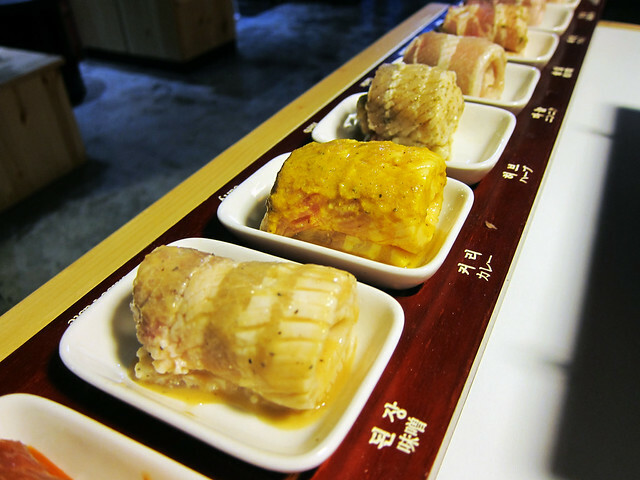 It is similar to Cantonese style thick congee, but more towards a seafood umami flavour. It’s quite pricey for a bowl of porridge though at 9,500 won. Budae Jigae was rapidly popularized after the Korean War, where people had little to eat and protein was scarce. People made this stew from leftover spam (luncheon meat) and sausages from the army camp rations, then cooked it in traditional chili paste soup broth and thus the moniker for army stew came about. The soup is a delicious thick broth with the taste of cheese and is a wonderful amalgamation of Korean and Western influences. 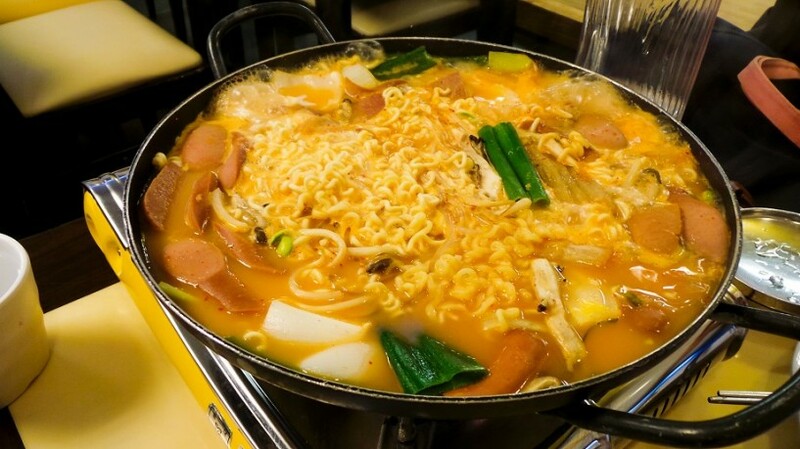 You’ll typically find these ingredients inside the stew: ramyeon, spam, sausages, rice cakes, vegetables, and sliced cheese. The ingredients in army stew will differ slightly among restaurants, some adding macaroni and baked beans too. I’ve tried army stew in one of the Korean restaurants where they added baked beans, but that kind of spoilt the taste for me. Thankfully, the other restaurants I visited did not add baked beans to their stew. 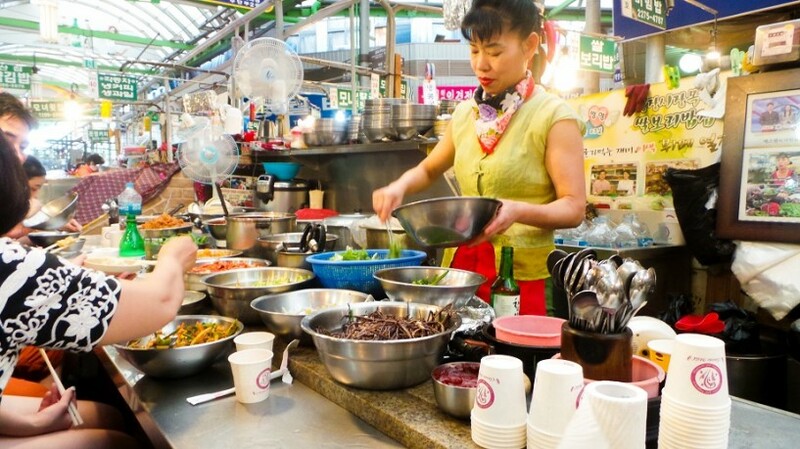 Just like how hawker centres play a big role in shaping local foods in Singapore, you have to visit the wet markets in Korea to experience authentic Korean food. Bibimbap is one of the representative local foods of Korea, and is widely available in eateries and restaurants. What is special about this famous bibimbap store in Gwangjang market then? The lady owner has appeared numerous times on Korea’s national television, and even on popular variety show Running Man. She serves not just warm rice with seasoned vegetables, chilli pepper paste, egg, sliced meat but also added barley into the mixed rice. 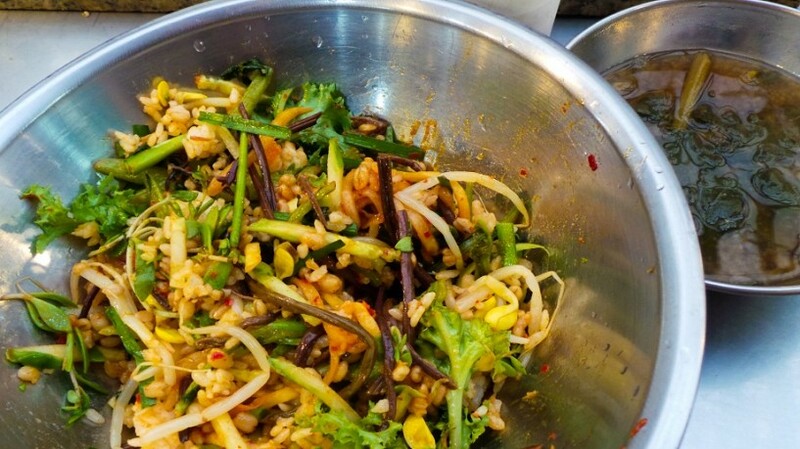 A bowl of no-frills barley bibimbap costs 5,000 won. While at Gwangjang Market, do try mayak kimbap (rice rolls) and fried mung bean pancakes as well. Nearest train station: Jongno 5-ga Station, Exit 8 or Euljiro 4-ga Station, Exit 4. South Koreans love their chicken. What is South Korea without its famed chicken-maekju combination that was widely popularized all over Asia due to its depiction in the famous K-drama – You Who Came From The Stars 별에서 온 그대. I would recommend half a portion of crispy chicken and half of yangnyeom (spicy seasoned sauce) chicken. The seasoned chicken is drizzled in garlic, tomato and a whole lot secret ingredients that differs in each fried chicken restaurant. The owners of Thunder Chicken are an old couple, and were really, really friendly. You will hardly see any foreigners in this particular fried chicken outlet but fear not. Just point to the menu and smile politely, I’m sure they will be more than happy to serve you. I sat at the back alley, enjoying the night breeze and watching Korean kids playing – I think, that is the best way to enjoy Seoul as it is. Thunder Chicken was a film site of popular 2013 Korean television series, I Can Hear Your Voice (너의 목소리가 들려). 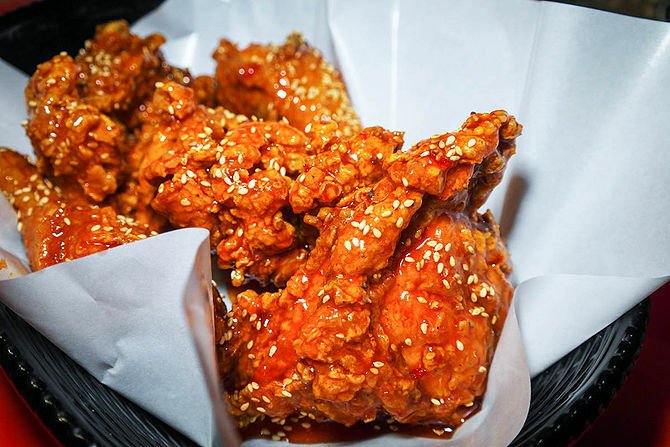 Another hotspot for fried chicken will be at Two Two Chicken conveniently located along the streets of Myeongdong. The original flavour fried chicken is well marinated, had crackling-crispy skin on the outside, juicy and tender meat on the inside. I would recommend their garlic soy sauce chicken and sweet and spicy sauce chicken as well. Despite having a thick glaze of sauce over, the chicken skin is still as crisp and delicious – kudos to the science behind their fried chicken recipe. Prices start from 8,800 won onwards. All fried chicken dishes are served together with a very unappetizing shredded cabbage drowned in mayonnaise and tomato sauce. Thank goodness the fried chicken saved it all. You can drop by Two Two Chicken after you are done loading up on Korean cosmetics at Myeongdong. For a one stop dessert place, I would recommend Sulbing which when loosely translated means ‘snow ice.’ Originated in Busan, Sulbing now has many branches around Seoul and it is very popular among the Seoulites. Toasted white bread with grilled rice cake in between, lightly drizzled with honey and generously dusted with powdered soybean, azuki and sesame seeds. This is a substantial dessert that is sure to please your sweet tooth cravings. You could also try the Cheesecake Sulbing which the locals love, though I found the combination is a little too funky for me. Injeolmi Toast costs 4,500 won. Warning: Not for the faint of heart. Oh yes, you eat these baby octopus raw. The octopus is served in chopped up pieces but you can still see the tentacles squirming about, and takes quite an effort to pick up the octopus and dip them into sesame oil before eating. The sensation of squirming octopus tentacles down your throat is rather weird, with the tentacles suction caps sticking to your mouth cavity as you chew them down- be warned to chew thoroughly or you might risk choking. The taste isn’t anything out of the world, but I am glad I’ve struck off sannakji on my bucket-list. Prices vary between restaurants in Noryangjin Fish Market, but do not hesitate to bargain as the stall owners will definitely try to charge ‘tourist prices’. Editor’s End Notes This list is definitely not complete. There is so much more I could have added in – from Korean street snacks and pastries to their cafe culture and fancy coffee drinks. To fully enjoy and experience the Seoulite lifestyle, be friendly and speak to the locals. You will often be surprised to what is in store for you. One tip for foreigners traveling around Seoul is if you are at a tourist hotspot (e.g Hongdae, Ehwa, Myeongdong, Sinchon), look for local guides who will be wearing conspicuous red uniforms. 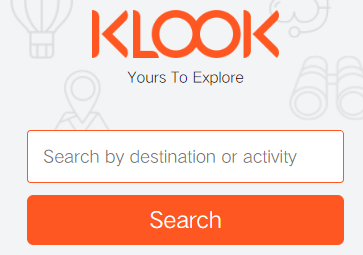 Ask them for a map, and if the restaurant you are looking for is famous enough, they will probably be able to point it out for you. Do share and comment on your favourite food experiences in Seoul, Korea. I’d love to hear about your experiences!